Meeting Spaces are well equipped. 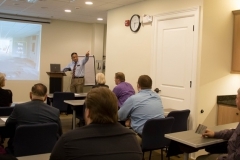 We have different sized spaces for your different sized meetings. Catalyst Conference Room is equipped with an advanced projector that lets you link up to 50 PC, iOS and Android devices simultaneously (displaying up to 4 screens at a time). It features modular tables that can be set up for classroom, team training, or other uses–or folded and stored to clear the floor for functions or demonstrations. Capacity 25 classroom style, 30 theatre-style. It also has built-in counter space for supplies, your literature, and serving refreshments. Enclave Boardroom is equipped with an LCD TV and teleconferencing phone. It features a conference table that seats 10 people with room for more. 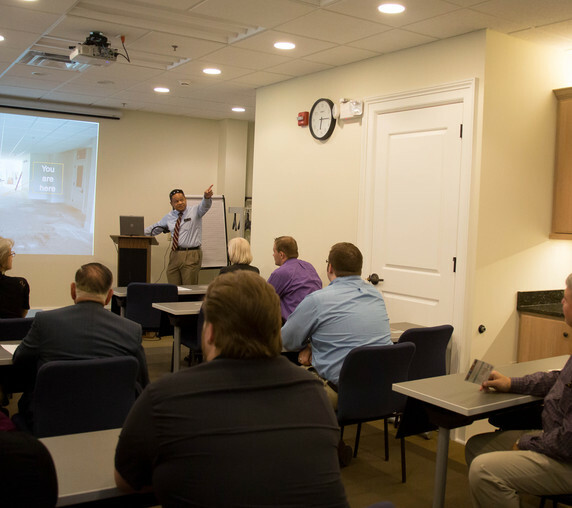 It has connecting doors to two offices, and can be used together with one or both of those offices acting as breakout rooms for side discussions, contract negotiations, or meeting preparation. DealMaker is equipped with convenience printer/copier, speakerphone, and LCD monitor. Often called a “signing room” by attorneys and realtors. It comfortably seats 6 and is adjacent to Reception. 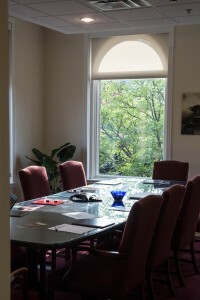 Enclosed offices work well for meetings involving 2 to 4 people.